As mentioned in the introductory article, the reason why you carry your pocket knife will determine almost everything about it. While there are many knives that fall within the multi-purpose category there is no single knife that can be used for everything. This is why there are so many different options. Now, as this is a series on EDC knives we are going to focus on pocket knives. 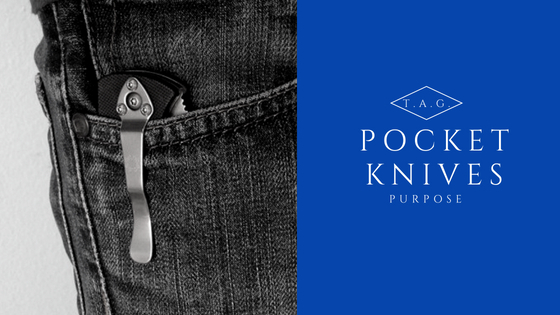 Pocket knives are built to live up to their name sake…pocket sized. They are the “pocket sized” version of something that comes in much bigger sizes. This needs to be remembered when you are considering whether or not to use it while embarking on a task that might be left to a more specialized tool. While there are specialized pocket knives most of them are designed to be multi-purpose tools for moderate use. Essentially, they all serve to do the same thing; cut stuff and sometimes stab stuff. But, what you will be cutting and stabbing will greatly effect the life of your knife and the decision you will make regarding what type of knife you are going to carry. They are the “pocket sized” version…. You must consider what you will be doing with it. I have several knives that I rotate throughout my EDC. However, I have given away many of my knives because I don’t need several that excel in the same area; I only need the best of my collection at that particular task. Example: I have an Opinel that I often carry with me because of its low profile and classic look. (I do like a classic looking knife. But it’s not my first choice. More on that when we talk about style). The Opinel keeps a razor sharp edge and is great for moderate day to day tasks like opening mail, food prep (especially fruit), opening milk bags and cutting tags off of clothing. But, it thrives in these areas because it has a fairly thin blade. It’s almost like a pocket paring knife. This means that it excels at day to day cutting tasks but it is not that durable and it loses its edge when cutting through tougher items. Because of this I will more regularly carry a knife that has a bit of a thicker blade and is made of a more durable steel. Don’t misunderstand me, the Opinel can take a lot of punishment but it will require more maintenance and sharpening than my other tougher knives. It still makes a great budget EDC option. I only need the best of my collection at that particular task. If you are looking for a survival type knife that might serve you will in a wilderness situation then most EDC knives simply aren’t going to cut it in the long run. They aren’t as durable as most fixed blade knives (Fixed or folder) and they are also the “pocket-sized” versions of actual wilderness knives. They can be great in a pinch but they will fail if used in very rugged conditions over a long period of time. Many of you are likely asking the question, “why not just carry a multi-tool?” This is a valid question and you may very well decide that you want to carry one. This is likely a topic that will yield its own article. To address this question briefly here I will simply say that the knife contained within most multi-tools are often not the highest of quality and usually very small. If you don’t expect your knife to do much more than open mail but you find yourself using the other options that are available then maybe a multi-tool or Swiss Army knife is a good option for you. These are just a few of the examples that will help demonstrate how vital it is to be knowledgeable about what you are going to be using your knife for. As we delve into some of the other elements regarding knife choice the reasons for understanding what you expect your knife to be able to do become even more clear.